Andrei Kondakov was born in Dnepropetrovsk, Ukraine, on September 14, 1962, and entered jazz community aged 16, when he performed at local jazz festival. 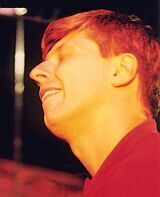 Initially he was influenced by Errol Garner and Duke Ellington, but then, in 1979, he met Nick Levinovsky, to date one of Soviet Union's most popular and well-regarded jazz pianists. This meeting, according to Andrey's many interviews, has changed his music taste forever. 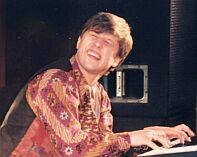 Kondakov began to listen to Herbie Hancock, Chick Corea, McCoy Tyner and other pianists. 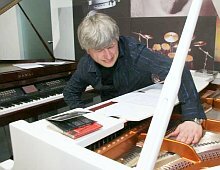 Then he changed his college specialization from Music Theory (which he studied at Dnepropetrovsk Music School) to Jazz Piano, that he studied in Petrozavodsk, Northern Russia. Later Kondakov continued his education in Petrozavodsk branch of St.Petersburg Conservatory of Music (majoring in Jazz Composition, graduated in 1987).